Financial leaders today balance the need to manage an increasing level of business complexity with the need for speed. In today's complicated business climate, is your accounting software helping you grow and compete—or holding you back? 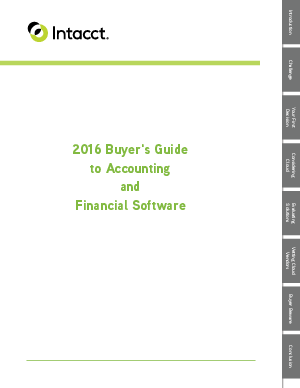 The 2016 Buyer's Guide to Accounting and Financial Software will help you understand whether it's time to make a move.